It's been an amazing winter as far as fresh snow is concerned but usually by the end of March it's spring touring weather and the Rando Chiens are coming out with us nearly everyday. Now Mamma Kiki is definitely looking a little rounder thanks to stealing the stale bread put out for the birds and less touring. 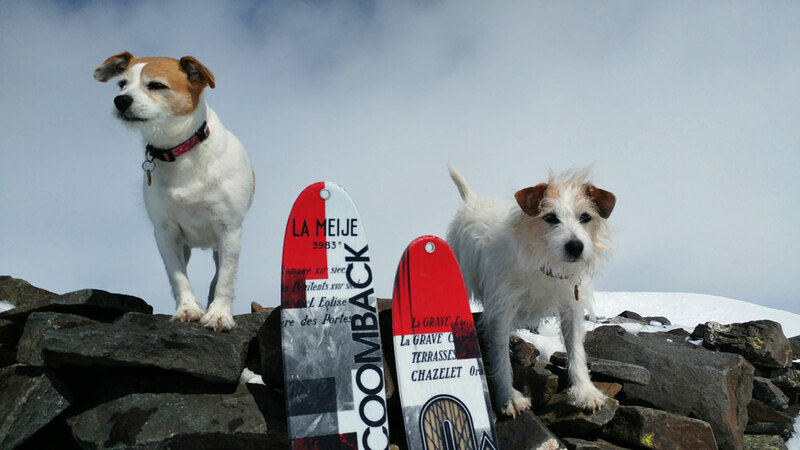 Gavin went up the north slopes at the Lautaret on Thursday, but it's national park and taboo for dogs. In the heavy powder one of my skis went one way, the other straight on so I did a headplant and twisted my knee meaning I was off games for a few days. Gav, Ken and The Vikings did Monetier backcountry again the next day and scored pretty good spring snow. 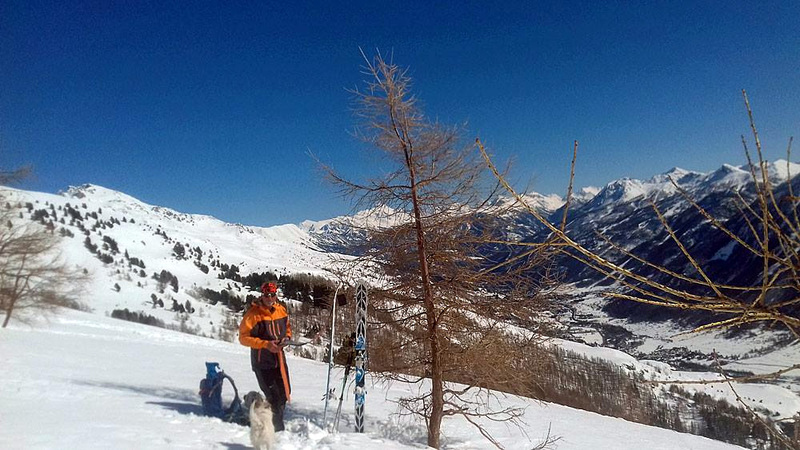 The next day, Saturday, Gav took the Rando Chiens up Gardiole, over 1400m so a good work out for the dogs. It was also a bit of a work out for Gav coming down as the snow in his words was 'crap'. 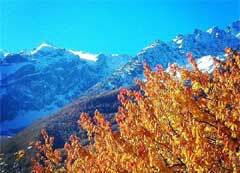 Same timing, same aspect, same temperature as the day before. So go figure. On Tuesday, the Rando Chiens chilled while Gav donned a helmet and hit the pistes on borrowed carvers - and had one of the worst falls of the winter, going off a bend at 65kph. The next day the attraction of Manchester (the groomed corduroy) and general boredom from resting up my knee, saw me joining Gav on first lifts to do the pistes. We had black runs to ourselves top to bottom skiing non-stop and, thanks, the knees fine. That afternoon Gav had the sad news that his father had died so he headed back to the UK on Thursday leaving the Jacks and I in a fairly miserable resort with rain coming down. I couldn't even persuade the Randos to go for a walk in the drizzle. Kiki doesn't know but she might be going on a diet next week!